The new snow seemed very stable in the areas I traveled today. The wind was from the northwest and not drifting snow onto lee aspects. 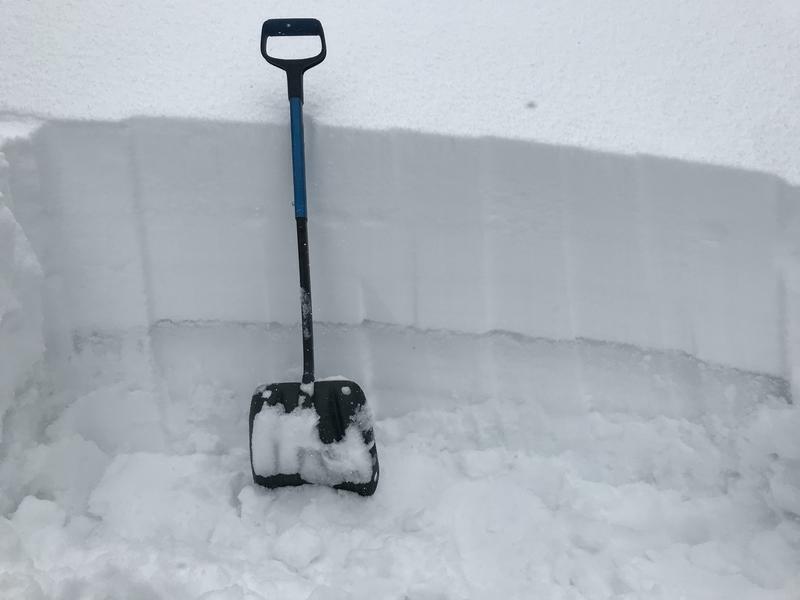 There was 40 cm of new snow in Mineral Fork and there was not a density inversion. I stomped on many steep test slopes along the upper elevation ridge line and couldn't buy a sluff or a crack. 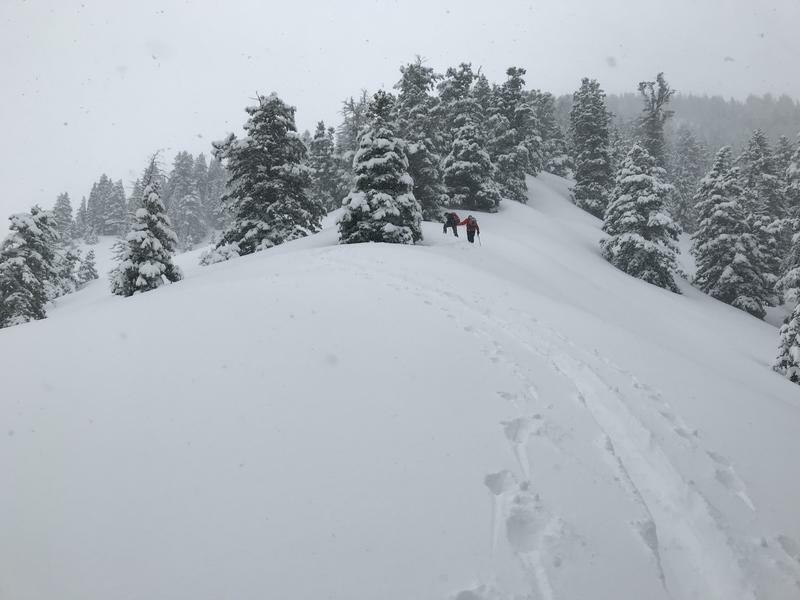 This is not to say the avalanche danger is perfectly safe, I was still cautious in my terrain selection as there is so much new snow it's hard to think there isn't a pocket out there that could slide. I am still scratching my head after seeing the old snow surface still warm and wet. The rounded grains are large in size 4-5 mm and very wet. These loose wet grains were soft when pushing my hand into the snowpit wall (fist hardness) and one could only imagine them propagating - especially with 40 cm of new snow on top. However, after two extended column tests with no propagation I moved onto a shovel tilt test and still had no shear or any layering that caused me concern. 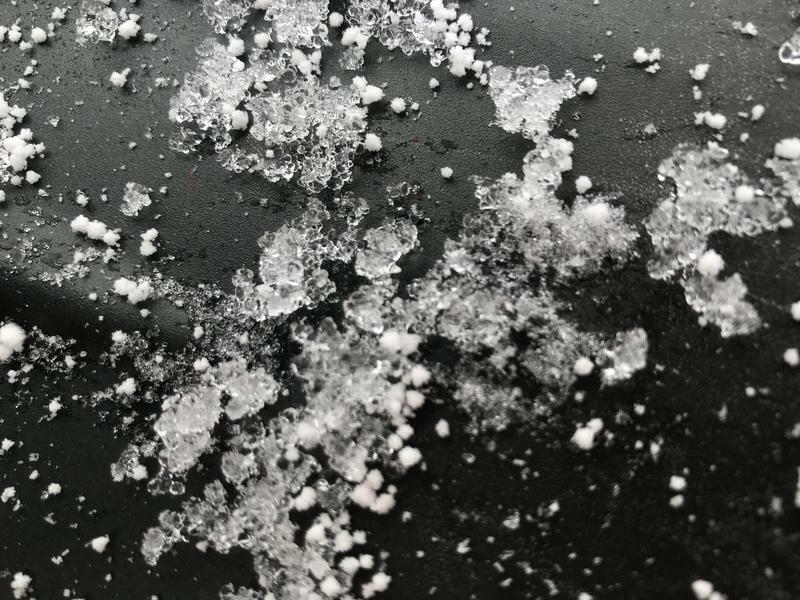 The new snow was mainly made up of broken particles and heavily rimed grains and maybe a touch of graupel in the mix. From what I observed the new snow was bonding very well to the old snow surface and there was little to no instabilities within the storm snow. We did ride terrain steeper than 35° degrees in steepness and noted no cracking or sluffing or any new snow instabilities. Picture 2: This was a snowpit on a northeast facing slope at 8,800' in elevation. Roughly 40 cm of new snow and ECTX2 no propagation. Picture 3: Rounded grains at the old new snow surface.